We can help you sell your inherited jewelry. Inherited jewelry has some special issues. First, there can be an emotional attachment based on the relationship of the person who bequeaths the jewelry. Next, understanding the value of jewelry is challenging. Liquidating family treasures can be a very emotional process. Some people have a strong relationship with the person and selling a piece of jewelry can be quite emotional. It can be part of the grieving process for some people. Working with people who are selling a part of their family’s history over the last 28 years has given us the experience to be patient and understanding. We are sensitive to the power jewelry can have with a relationship. We understand the close connections and personal sentiments that go along with selling your jewelry. The whole process can be intimidating especially if this is the first time you’re selling jewelry. We have been buying jewelry since 1989 and establishing long-lasting relationships with our clients with professional yet caring interactions. Understanding the value of inherited jewelry creates many problems for people. When you buy jewelry you have a starting point for establishing its value. Many times the beneficiary has no idea what the person originally paid for the items. And, there are more questions: Does jewelry become more valuable just because it is old? How does age impact jewelry value? The age of the jewelry impacts value in two ways. First, it can become a highly collectible antique that is worth much more than was originally paid. Or, it can become an out-of-style, not collectible, worn out piece of jewelry that is worth only its intrinsic value. 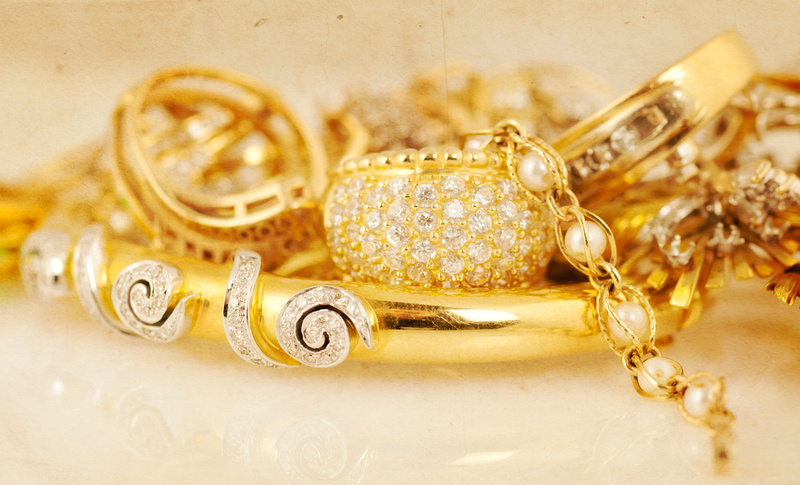 All of this can create a big hesitancy to take action on liquidating jewelry. Jewelry is very complicated, and even if you bought the item new yourself, our best advice is to consult an expert jeweler who has experience evaluating estate jewelry. Our GIA trained gemologists can evaluate every aspect of a piece of jewelry (gold, platinum, diamonds, gemstones, etc.) to give you an accurate assessment of its value. Arden Jewelers will do a free value appraisal of most items. Just bring it into the shop and right in front of you our gemologist jewelry buyers will share their expertise of the jewelry value and how to best sell your jewelry for free. If you need a written appraisals, we can help you with that as well (there is a charge for that service). There are a few different types of appraisals, and we can help you pick the one that’s best for you (read about the different types of appraisals). When it comes to selling inherited jewelry, Arden Jewelers is a trusted resource that you can rely on. Come by for your free evaluation today.